The Mylor Creek HQ of Cockwells Modern & Classic Boatbuilding has delivered a diverse range of projects this month. As well as launching two state-of-the-art 7m superyacht tenders that are bound for Italy to join their mothership – the 70m Perini Navi ketch, Sybaris – Cockwells has also completed its tenth Duchy 27 motor launch and delivered it to its new home at London’s Imperial Wharf. 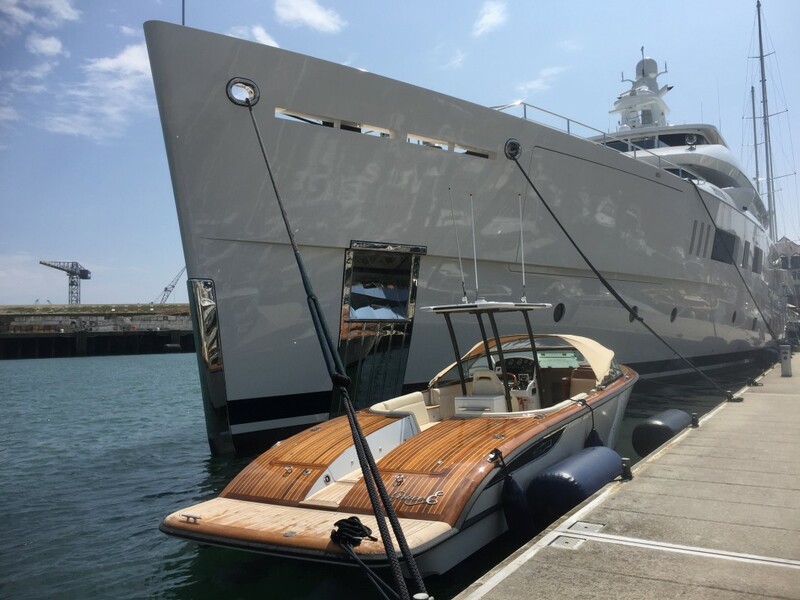 It showcased its 39’ motor launch, Ocean Fugue at the Jersey Boat Show and worked with a leading architect to produce bespoke joinery for a new atrium at five star, luxury hotel, The Berkeley, in Knightsbridge. The yard has also undertaken a complete refit of the luxury tender that it built for the Perini Navi 73’ motor yacht, Grace E, in 2013, and has sponsored the Falmouth Classics as well as the Working Boat World Championships hosted by St Mawes Sailing Club.